Michael Pena, Lucy Hale and Jimmy O. Yang star in Sony Pictures and Blumhouse Productions horror-thriller version of Fantasy Island, based on the 70s and 80s ABC TV series. The studios have set the ‘Fantasy Island’ movie release date on February 28, 2020. Subscribe or bookmark to get the latest ‘Fantasy Island’ movie cast news, set photos and to be the first to watch the trailer. Sony Pictures and Blumhouse Productions have begun assembling the cast of their big-screen Fantasy Island movie based on the popular 1977 to 1984 ABC TV series. The movie will follow a group of guests to a unique resort island who hope to have their fantasies realized, but the outcome rarely turns out as expected. 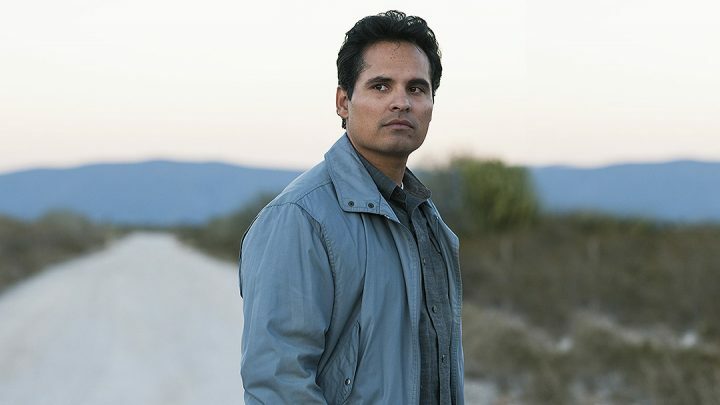 Michael Pena (Ant-Man and the Wasp) stars as the mysterious island host Mr. Roarke (Michael Pena). The role was originally played by actor Ricardo Montalban (Star Trek II: Wrath of Khan) with co-star Hervé Villechaize who played Tattoo in the television series. Jimmy O. Yang (Crazy Rich Asians ) will play Brax, a guest who arrives on the island with his older adoptive brother with the wish of “having it all.” What Brax doesn’t realize is that when you have it all, eventually jealousy brews. Lucy Hale (Truth or Dare, Pretty Little Liars) has joined the cast as one of the guests who travels to the island looking to see her fantasy realized along with Maggie Q, Portia Doubelday and Ryan Hansen. Horror director Jeff Wadlow (Truth or Dare) is helming ‘Fantasy Island’ from a script he is writing with his ‘Truth or Dare’ co-writers Chris Roach and Jillian Jacobs. Sony and Blumhouse have set the ‘Fantasy Island’ movie release date on February 28, 2020. Subscribe or bookmark to get the latest ‘Fantasy Island’ movie cast news, set photos and to be the first to watch the trailer.